Watermelon on a stick, isn’t that the coolest idea? No cooking required for this one! Sometimes it’s the simplest things that make the best desserts. Some of my favorite summer recipes you can make with watermelon are Feta Balsamic Watermelon Pizzas or as a ‘Caprese’ with a Balsamic Glaze, Grilled Peach and Watermelon Burrata Salad and with Ahi Tuna as a salad. Take sweet watermelon for example, the perfect summer dessert as is – but add a stick to it and you have a fun way to present it at your backyard parties. I saw this on Real Simple and I knew I wanted to share this idea with you all. My husband thought it was brilliant as we happily enjoyed this after dinner. 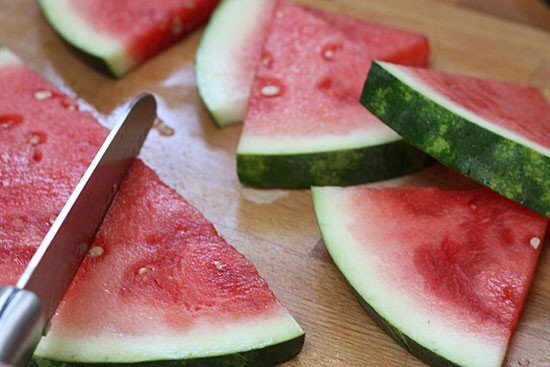 Cut watermelon into pizza shaped wedges. Insert a knife into the center of the rind and push the stick into the hole. Gina I love you and basically everything I make is from your website now. I think the idea is cute but I’m trying not to be negative because I think you’re absolutely wonderful but it’s a little bit of a stretch as a recipe and I’m just saying that. But I thank you for wonderful ideas. ? Great idea! Sure, many kids may not care about sticky hands … But for us grown folks, this would work great. Wow such a SIMPLE but CREATIVE idea! Makes me say "duh! I should have thought of that!" Helps keep the fingers and hands from getting messy, love it! I'M STILL LOVING THAT "BUFFALO CHICKEN DIP". I think it's a great idea! It's as much as a recipe as some of the Food Network website "chefs" have offered up and I've seen some ridiculous ones there. This one isn't ridiculous but is practical. Just subscribed to your site via my reader. Love the idea. Am going to try it for my child's birthday party next weekend! This was a hit at my gathering this past Friday night! Thanks Gina, once again! Thanks for sharing such a cute idea. Making these for a party I am having tomorrow. Love your recipes Gina! Keep up the great work. Your wonderful taste and beautiful photos keep me coming back everyday. 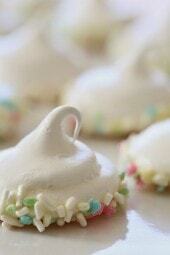 I have made many recipes from your blog and they have all turned out delicious. For whoever is dissing the 'watermelon on a stick' they either don't have children or do not really appreciate or understand the time it takes for you to do what you do on a daily basis. Thank you 🙂 I can't please everyone, but I am very happy to please 99% of you!! I don't know what the 'troll'said. But my first thought was HORRIFIED :-O because of the wasted materials. I am seriously disappointed. And I am entitled to that opinion. I love your recipes. And this is not a recipe. It is a waste of $$ and resources that could be put to better use. X-( And if dissent is against the rules on here I will be disappointed and I guess deleted like the 'troll'. I love this idea. I'm not sure how it is a "waste of materials" as ybegood indicated. The only materials are Popsicle sticks and when you use them in Popsicles aren't they wasted then as well? 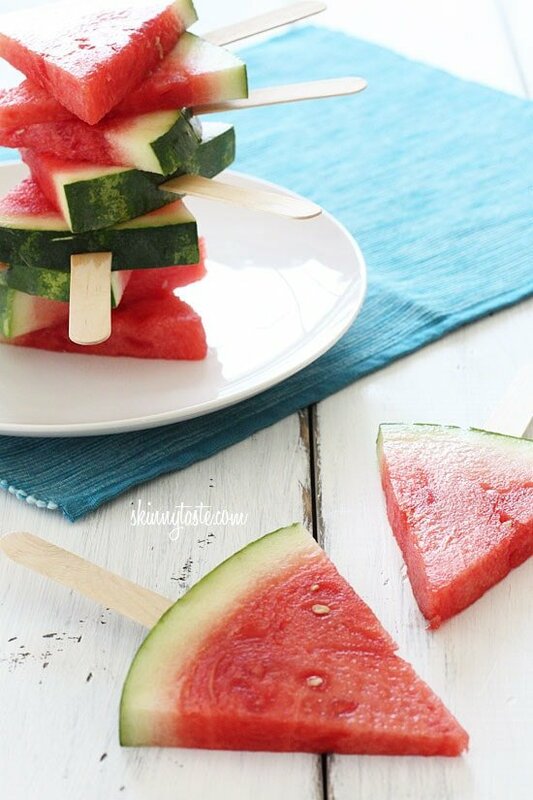 I will say when saw watermelon on a stick I was hoping for one of your fabulous recipes that I always see on here. However, I like the idea and as others have said "why didn't I think of that?". Agreed. I was also unhappy with the great waste of materials (i.e. the popsicle sticks). Why use popsicles sticks to hold the watermelon? Isn't that what keeping the rind is for? As a composter and recycler, I'm here to say the popsicles can be washed and reused. Or used as fire-starting sticks. Or used as flower pot identifiers…so many uses for these WOMs.. But, having had made these because they just look so darn cute on a stick, I'm here to say the mess was significantly less then when my kids eat it just from the rind. And, the adults alike were enjoying it as much as the kids because it was fun. Now that I've seen the other things people have done: freezing and adding alcohol, I'm even more excited about the possibilities. Wee! Very cute! You can drizzle some honey and lime over the top or sprinkle with some chile powder on the wedges! Yum! Sweet, that's gonna be healthy dessert for my next BBQ. Where you find the stick though (stupid question from a foreign person in the usa) ? thanks for the idea anyway ! This is a great idea! Thanks you for promoting healthy eating…. love it! 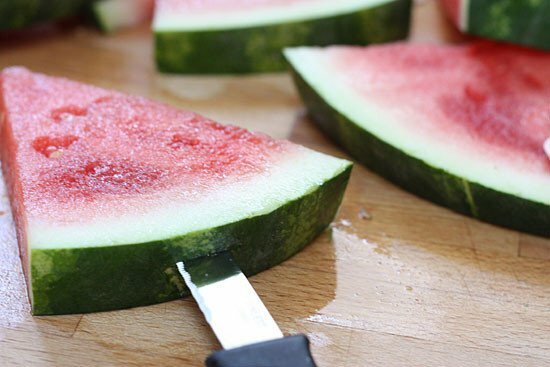 My kids love watermelon….i bet freezing these will be awesome! Very cool idea! Had a BBQ last night with watermelon and wishing I had seen this beforehand. Just want to thank you for your amazing ideas and recipes. I started Weight Watchers 6 months ago and have lost 40 pounds. 10 more until goal. When people ask me what's working I always say, "Skinnytaste, of course!" I really can't believe how negative some people can be. 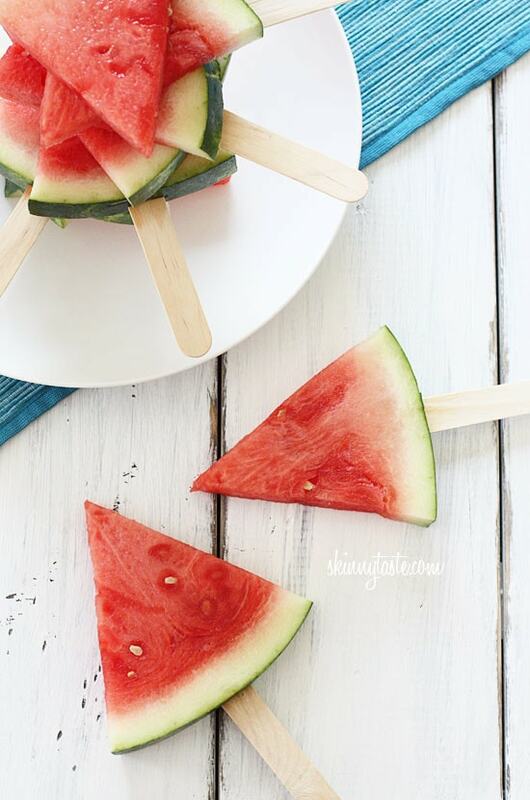 A recipe blog can also include simple and fun ideas to make the lives of moms and babysitters easier by putting watermelon on a stick! I love the idea and thank Gina for sharing! Super cute!! some say you cannot reinvent the wheel. I think you just did! Thanks for a wonderful idea!! I'm sitting here asking myself why I didn't think of that. 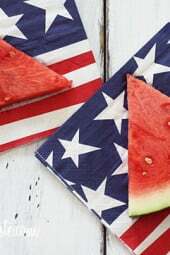 I wanted watermelon for the 4th, but with all the people, too messy and sticky. Now it won't be. This is such a fun site. So it's not a recipe, who cares. It's a really neat and creative way to eat fruit – takes some of the monotony out of eating the same thing every day. Looks eye appealing and brings out a little bit of the kid in all of us. Thanks for the idea. Have a greath 4th. Such a great idea! And I squealed yesterday as I was reading Fitness magazine and saw your pretty picture! How awesome! Love this idea, Gina, thanks for sharing. This will be fun for big kids (adults) and little kids alike. 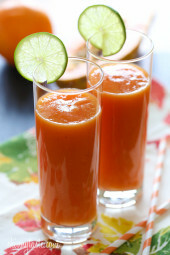 You can do this with other things, too, like cantelope and honeydew. Can't wait to use your idea. Thanks for your great recipes! What a cute idea, thanks for posting. I will definitely be using this idea for years to come. Thanks again. That would be a nice way to make this for adults! Love the Idea, perfect for kids! So refreshing! How cute!! I will definitely be doing this for the 4th. Love this, love the freezer idea! So simple and yet I never thought of it, even with the sudden popularity of food on a stick (see: cakepops). Awesome! I did a huge tray of these last weekend for my daughters birthday party! We froze them before hand as a nice cool treat during the ridiculously hot day! What a great idea that keeps your hands from getting sticky! I bet you could also stick them in the freezer so they're more like a watermelon ice! I think I'm going to have to try these in the freezer! That's a good idea. Smart idea! But isn't the fun of eating watermelon when the juice runs down your arm? Just stopped by to say hello. I don't always comment but enjoy your posts. Stay Cool! That's really cute! Was trying to figure out the other day what to do with the 100 popsicle sticks I have left over from the frozen bananas (which my fam totally loved!!) This will be a hit for the 4th…thanks Gina!! Gotta love trolls! I deleted the "troll" comment, seriously people have nothing better to do with there time! Glad that you are not letting the trolls get you down! My first thought when I saw this was, "Why didn't I think of that!" 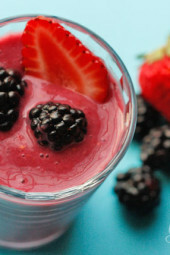 Clever, useful, and kids will eat more fluid replacing fruit! I think she was trying to say this isn't a recipe… and she would be correct.. it is as much a recipe as putting water in an ice cube tray and instructing us to put it in a freezer. No this is not a recipe, simply a neat idea that I thought was fun. I stated that above as well. Gina, great idea for not only the small children who will end up with sticky fingers but the adults as well! Anonymous, that is really unkind, and entirely unnecessary; if you don't like the idea, stop reading. Plain and simple. 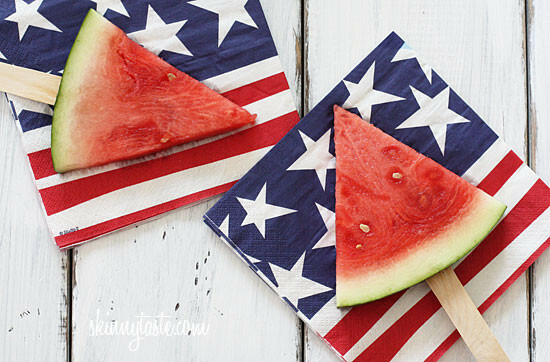 I, on the other hand, think this is a fun brilliant idea and I plan on using it this 4th of July. Thanks for the great suggestion! It will help keep dirty hands away from the actual food, and prevent stickiness from dripping down my fingers. Score! Thanks Paula, deleted the troll comment. A friend of mine got to attend a picnic at the White House last year and frozen watermelon on a stick was served. She said it was fantastic! Love this site!